I am beginning to wonder whether Mr Davis's approach of looking at different sectors in order to structure the Brexit negotiations is the right way to go about things. It certainly cannot define the full extent of his considerations. The obvious example comes with the post on the "standards industry". There are two ways of looking at this. Either the BSI and other "notified bodies" may be treated as an industrial/commercial sector in its own right (thus addressing the producer interest), or the focus can be on the bigger picture, looking at the UK approach to the harmonisation of standards across a wide range of activities. In making that distinction, one can immediately see the potential for conflict: what the BSI would regard as the preferred outcome would not necessarily be in the national interest. For the greater good, it may be necessary to sacrifice a sector that has a higher economic yield than the fishing industry. Another example which comes leaping into the consciousness is the issue of "geographical indications" (GIs), after press coverage of a European Parliament report expressing fears that British companies could "violate protections" given to the names of thousands of European products – such as parma ham and champagne – while still retaining protection for products such as West Country farmhouse Cheddar. This general issue was something that was raised by Mr Cameron during the referendum campaign – then in the context that the UK would be the loser. How times change. Nevertheless, GIs are most certainly an issue – they are big business, covering 2,768 products. Independent studies valued total sales at €54.3 billion in 2010 (wholesale value), with extra-EU exports at €11.5 billion. UK production was valued at €5.5 billion. The total value premium of EU27 GIs was estimated at €29.8 billion (the premium that a GI can expect from the market, compared to similar non-GI products). Furthermore, according to the World Intellectual Property Organisation, protection makes economic sense. Given the global competitive environment characterised by declining agricultural commodity prices, traditional and/or quality products with a strong cultural link add value and give producers the opportunity to move away from commodity markets into more lucrative niche markets. Thus, the protection of GIs will need to be included in any Article 50/free trade negotiations, although they can be dealt with in any one of several different was – or simultaneously under multiple heads. In that most GIs cover food and agricultural products, an agreement could be thrashed out within a framework of talks on the food industry. However, there is talk of expanding the GI concept to cover other areas. Internationally, protection has been applied to Montecristi hats (Ecuador), Swiss watches, Pochampally Ikat tie-and-dye sari (India) and Longquan Porcelain (China). If for the purpose of the talks GIs are to be divorced from the food industry, they can be slotted into the much wider category of "intellectual property". As we have seen, this forms a major part of any modern comprehensive free trade agreement. In the Ukraine DCFTA, for instance, there are nearly 50 references. A whole chapter is devoted to the issue (Chapter 9), which runs to many pages. But what the text of the Ukraine agreement shows is that the concept depends on much more than the EU treaties for its base. We see immediately a reference to the WTO Agreement on Trade-related Aspects of Intellectual Property Rights (the "TRIPS Agreement"), which demonstrates that there is a major international element involved. In fact, such are the global dimensions that the EU scheme is only the tip of an iceberg, with the World Intellectual Property Organization (WIPO) administering GIs at a global level. At a national level, protection has been an issue for several centuries: the delimitation and regulation of the "Port" wine started in 1756. But the global scheme relies on an expanding network of treaties and agreements that started with the 1883 Paris Convention on the Protection of Industrial Property. The list includes the 1891 Madrid Agreement and the Protocol on the International Registration of Trademarks; and the Lisbon Agreement for Protection of Appellations of Origin and their International Registration of 1958. It is these agreements which laid the foundation for the 1995 WTO TRIPS Agreement. Part of the Doha round, the WTO intervention opened the way for other trading nations to protect their own traditional products and brands, to the same level enjoyed by European enterprises. Formal EU intervention started fairly late, with Council Regulation (EEC) 2081/92 "on the protection of geographical indications and designations of origin for agricultural products and foodstuffs". This has now been replaced by Council Regulation (EC) No 510/2006. There is specific legislation for wine, currently Council Regulation (EC) No 479/2008 "on the common organisation of the market in wine". Spirit drinks are covered by Regulation (EC) 110/2008. Enforcement and related matters are dealt with by Commission Regulation (EC) 607/2009, "laying down certain detailed rules for the implementation of Council Regulation (EC) No 479/2008 as regards protected designations of origin and geographical indications, traditional terms, labelling and presentation of certain wine sector products". As we reported earlier, though, when we discussed Mr Cameron's contribution to the debate, the EU scheme is not confined to produce from EU Member States. It also applies to third countries. Applicants from outside the EU can register their products with their national authorities, which then pass on the details to the EU, where they are then – after due process – recognised as protected. In May 2011, four Chinese agricultural products received protected status in the EU, bringing the total to five, with another five going through the system. In a reciprocal move, the Chinese authorities set in motion the recognition process for "ten celebrated European products". These were: Grana Padano; Prosciutto di Parma; Roquefort; Pruneaux d'Agen/Pruneaux d'Agen mi-cuits; Priego de Cordóba; Sierra Mágina; Comté; White Stilton Cheese/Blue Stilton Cheese; Scottish Farmed Salmon and West Country Farmhouse Cheddar. More recently, an agreement has been reached with Iceland, an Efta/EEA member, which means that the full list of the EU's protected agricultural products and foodstuffs "will enjoy in Iceland the same level of protection as in the EU market". However, the concern of the European Parliament, according to the Guardian is not the making of agreements but the possibility that the UK could break them. Within Regulation 510/2006, there does not seem to be any provision for reciprocity so that – it is asserted - even if the UK failed to recognise GIs from EU Member States, its GIs would remain valid in EU Member State territory. Even worse, it is suggested, the UK "could, for example, rename some English sparking wine as English champagne, or ham as English parma ham". Yet, this highly restrictive view is hardly realistic. The UK is leaving the EU but it will still be party to the mix of international treaties, including the Paris Convention and the Madrid Agreement, plus protocol, as well as the WTO TRIPS Agreement, which would require enforcement. As regards EU legislation, it is not the case, as claimed that EU law takes effect in the UK without any national implementation. It also requires an enforcement framework. 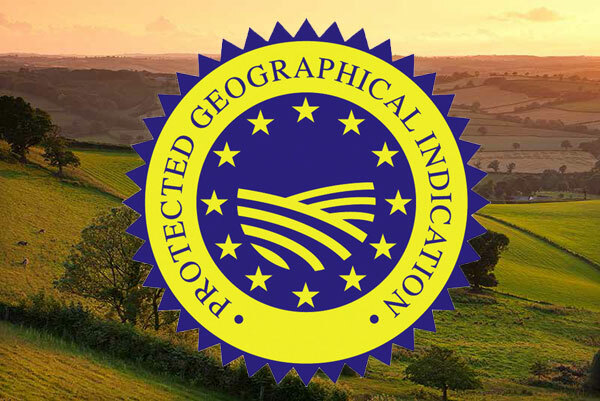 In UK terms, geographical indications, and their related "protected designation of origin" (PDO) and "traditional speciality guaranteed" (TSG) are protected names. False use of a protected name is an offence under the The Food Labelling Regulations 1996, which are progressively being replaced by the The Food Information Regulations 2014. These Regulations implement Regulation (EU) No 1169/2011 which in turn implements Council Regulation (EC) No 510/2006, thereby providing a convoluted but nevertheless intact chain of enforcement. On this basis, neither EU Member States nor the EU have much to fear that their GIs will be misused, post-Brexit provided, of course, Mrs May doesn't exercise her "walk-away" option, and allow the EU Regulations to lapse. As regards the Great Repeal Bill, the complexity of these EU Regulations, their multiple cross-referrals and the sheer number of the references make covering all the bases a draftsman's nightmare. If there are no legal loopholes in the end result, it will be a minor miracle. Nonetheless, there are the international treaty provisions to fall back on, and even then there are some gaps and differences in interpretation, especially as between the EU and the United States. These differences tend to magnify the gaps (and are preventing further progress on TRIPS). Whatever can be applied, though, does – as indicated previously – require enforcement. And there do not appear to be any domestic law implementing treaty provisions, although certain trademark provisions may apply. To avoid any misunderstandings or ambiguities, though, the EU and UK might be best advised to conclude a mutual agreement on GIs, perhaps embedded in any free trade agreement concluded. The Ukraine DCFTA would provide an adequate model. This will then require its own enforcement framework in domestic law. Arguably, when negotiating the specific GI provisions, the balance of advantage might lie with the UK, in that it is in a position to exclude EU products by amending UK law. In terms of the bigger picture, the EU might easily craft retaliatory actions which would serve neither party. And, whatever is agreed, there are other battles to be fought. Between the EU and the United States, the major differences of view as to the application of GIs will require the UK to take a position in deciding which side to support. This is a matter for the future but such considerations may also cast a long shadow over the Brexit negotiations. This issue, ostensibly simple, is extraordinarily complex, with billions at stake. It may well run and run.